It's my first regular Sunday blog update today. As you remember I decided to switch to the new schedule that is more adjusted to my current life flow and allows to play FM in a more convenient way. Here we go, and I am ready to complain about numerous goals conceded by Crystal Palaced during the reported period. November was totally disappointing because all 3 matches were lost. Though it's just Liverpool that crushed Palace with ease. 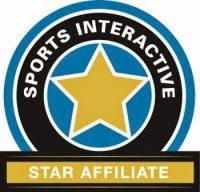 2:0 with Stoke after the first time unexpectedly turned into unfair 2:3. It was a match of equal teams but perhaps higher player class worked out. The same can be said about embarrassing 5 goals conceded against Swansea. They simply scored all their moments. There are two reasons to explain such a goal galore conceded by Palace goalies. It's not a problem of goalies actually. The first reason is slow pair of central defenders. Scott Dann (Pace = 12, Acc = 10) and Brede Hangeland (Pace = 11, Acc = 9) are frequently not able to cope with fast PL strikers. At the same time they are awesome when opponent forwards doesn't possess high speed. It's easy to single out the best match on the background of multi-goal losses. 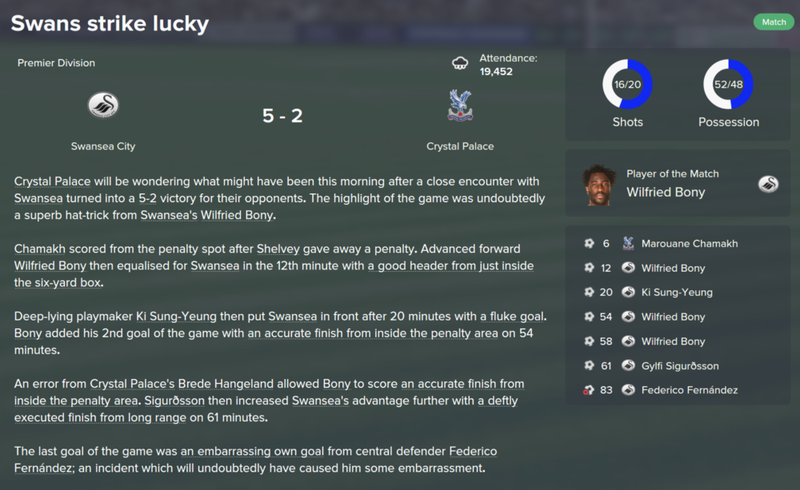 Total advantage over Burnley gave me some morale boost. Suddenly the game became a show of Jason Puncheon who doesn't normally gladden me with high-quality football. The inside forward scored once and made two assists. Now I cannot stay in cold blood after the lost matches. 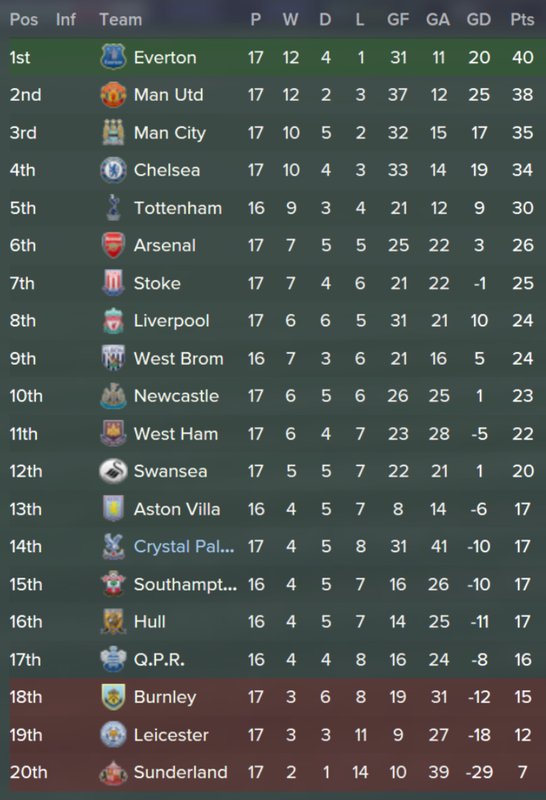 My 14th position is just in 2 points from relegation zone currently. 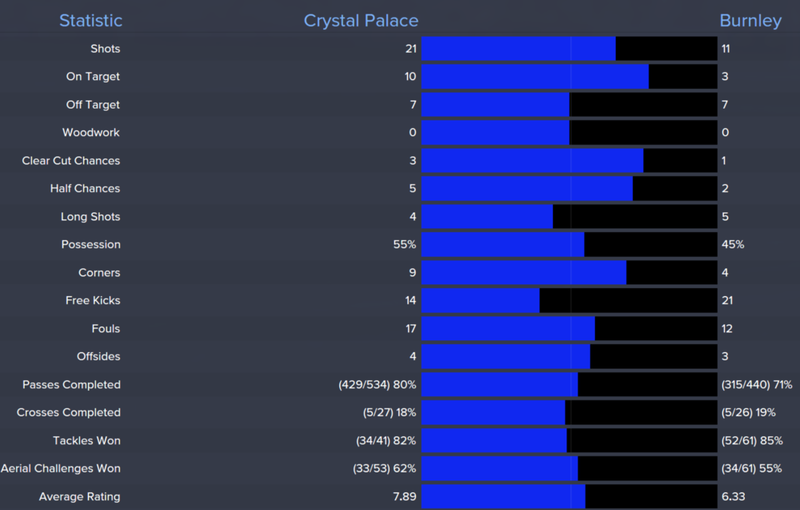 41 conceded goals in 17 matches show opponents how vulnerable Palace defence is. Now you can compare successful Everton squad with mine. Not that awesome of course but I still have 8 players performing above 7.0 if average rating matters. Three of them are injured now as you see. This time I cannot single out someone who showed the best performance in Crystal Palace squad. There were no stable performers. Stability is what I value very much. So we have what we have. 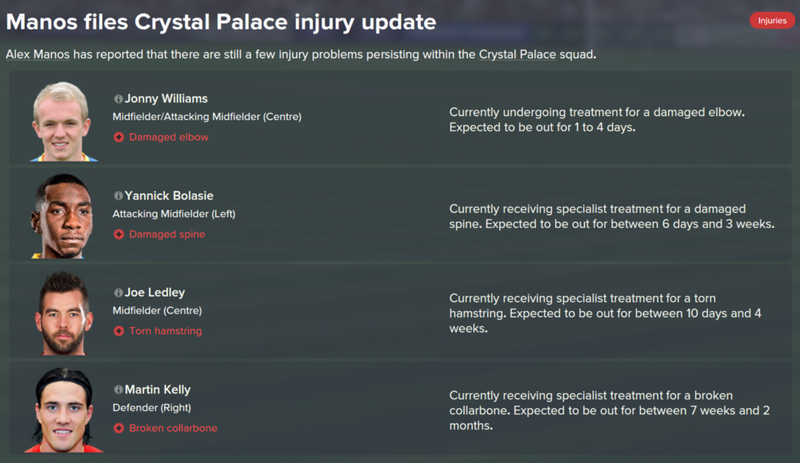 I am not going to strengthen the first squad during winter transfer window. 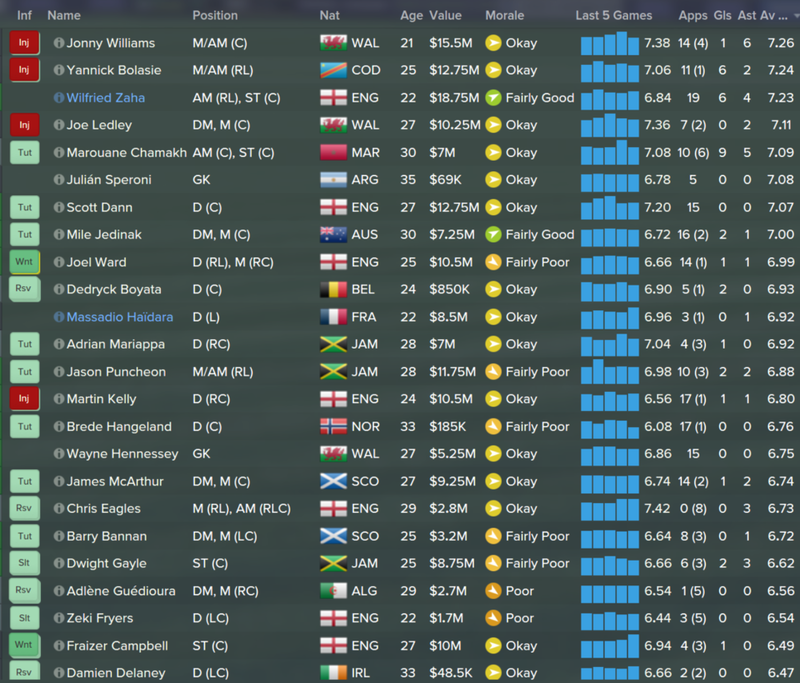 My aim for now is finding and buying cheap talented youngsters who can be trained and used in future. Any name advices are welcomed, by the way. Christmas time matches should be very interesting. I hope to win against Hull, arrange battle with Southampton for one point and oppose Man United at home. It doesn't mean I won't be able to play more matches during the next week. Just wanted to focus on Christmas time. 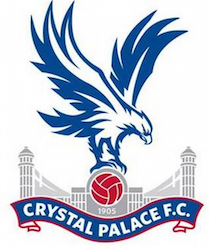 What's your prediction for Crystal Palace in these three Premier League games?